“...I am leaving you with a heavy heart. Maybe you’ll be able to tell the people of today, and particularly the children, what you saw and where you were with me – a sad story, but also a cheerful one, because I survived . . . Dear Gerta, you will be the last witness of a dreadful childhood. May no child anywhere go through anything like that again . . . Maybe some day I’ll come to visit you; after all, the only grave I have for my father and grandparents is Yad Vashem. And perhaps my children and grandchildren will come, and then you won’t be alone there! 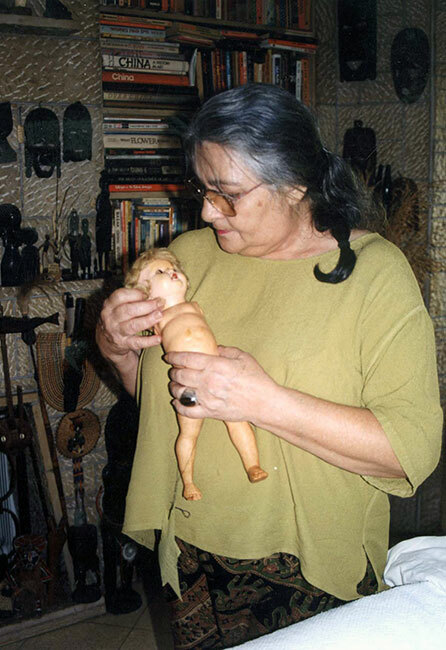 Maybe you’ll meet toys and dolls that were in worse places, but survived all the same. My dear doll! Today you have become an inseparable part of my people, which has risen from fire and ashes like a phoenix. The Artifacts Collection at the Yad Vashem Museum is a vast mosaic of personal memories. The Collection’s uniqueness lies in the extent of its contents and the manner in which the items were collected. 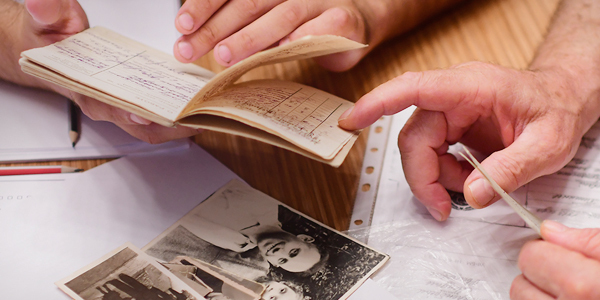 Most of the artifacts are connected to the biographies of people who personally experienced the Holocaust, and so the story behind the artifact usually reveals the fate of its owner. In this way the artifacts give faces and names to the victims of the Holocaust, both those who perished and those who survived. The staff of the Artifacts Department records the stories behind the artifacts carefully, whether it is the narrative of one individual, a family or a community. Each object that comes to the collection is registered in an entry log, as stipulated by the Museums Law of the State of Israel. A letter of acknowledgement is sent to the donor of the materials that indicates the registration number of the artifact. This facilitates locating the item in later years. The documentation includes a detailed description of the events, names of family members and locations of incidents, as well as relevant photographs. All of the recorded information is computerized, and is then available for commemoration and research purposes, and for display in exhibitions.